Minimum of $100.00 deposit is required. Registration is now open for 2019 season. The online registration for the 2019 Sugar Land Cowboys Football and Cheer season is NOW OPEN!! LOOKING FOR 2019 SUGAR LAND COWBOYS SPONSORS! Kicking off spring football & cheer conditioning camp. Camps are FREE and open to all children ages 5-12. ​You do not need to be registered to attend. Camp every Wednesday @ Old Kempner Stadium 6:30pm-7:30pm starting on March 20th. Congratulations to All of 2018 Sugar Land Cowboys Players for a great season!! 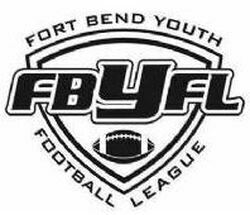 Great Job players and time to get ready for 2019 FBFYL Season!! Have your company name listed on our website and a link to your page!